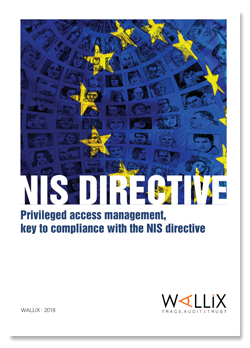 The NIS (Network Infrastructure Security) directive was adopted by the European Parliament on July 6, 2016, giving Member States of the European Union until May 9, 2018 to incorporate the Directive into their national laws. Aiming to standardize the various local security practices in each Member State, it was passed to ensure that operators of essential services and digital service providers are better protected against cyberthreats. The NIS Directive sets out a comprehensive plan to attain a high common level of network and information system security across all Member States, addressing in particular the protection of Operators of Essential Services (OESs) and Digital Service Providers (DSPs). Find out how to optimize your compliance requirements with this white paper!